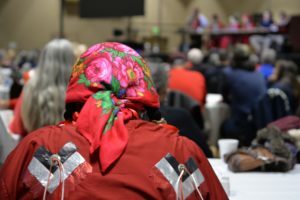 On Monday, Jan. 14, the Yakama Nation held an all-day community meeting in Toppenish, Washington, to discuss violence that affects Native American women and girls. Over 200 people attended the community meeting, including Yakama tribal members, the Washington State Patrol, local police departments, and the Governor’s Office of Indian Affairs. 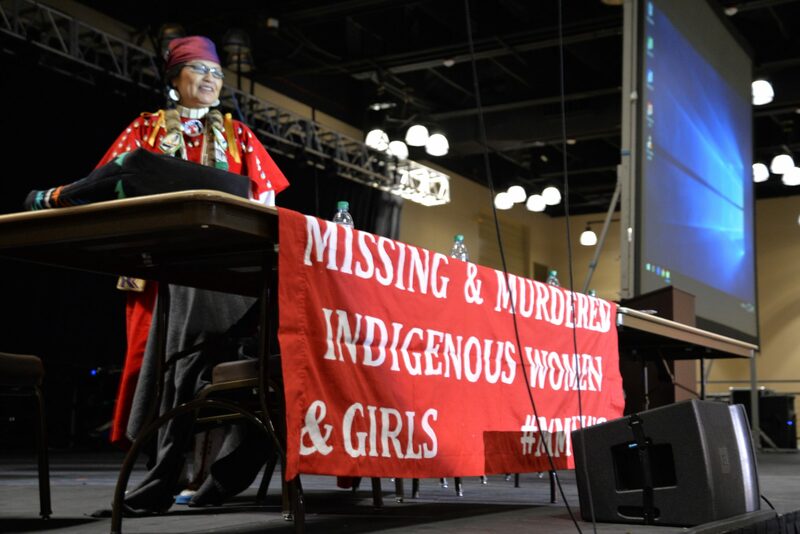 This comes after a new state law last year that tasked the state patrol with identifying problems and solutions in reporting and investigating cases of missing and murdered Indigenous women (MMIW). Other barriers include systemic oppression that Native women face at the intersection of racism and sexism. Jurisdiction is another challenge. Crimes are bounced between tribal police, local law enforcement, and the FBI, depending on whether the victim and perpetrator are Native or non-Native, and where the crime took place. The city of Wapato Police Department stressed during the meeting that local law enforcement was and has been committed to supporting the Yakama Nation. In the past, a Yakama tribal officer rode with Wapato police. Both officers and community members offered it as a possible initiative to reinstate. 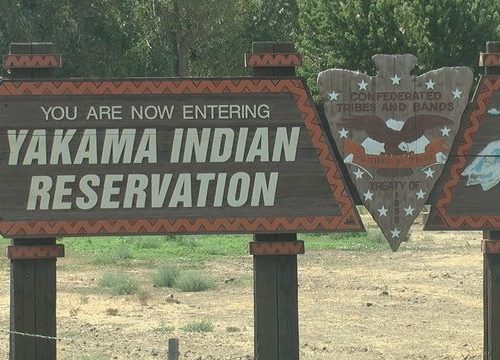 Other Yakama members asked police officers to get to know the culture of the tribe, to educate themselves on celebrations and religious practices in order to build trust and genuine connections with the community. But for some tribal members, these initiatives — while helpful — are not enough. Charlene Tillequots, a Yakama member of the MMIW special committee, pushed back on more talking. Tillequots and other women said they already knew the scope of the problem; they’ve been enduring it for years. When victims were able to come forward and report a problem, officers took hours to respond to complaints, especially if victims were in rural parts of the reservation like White Swan. 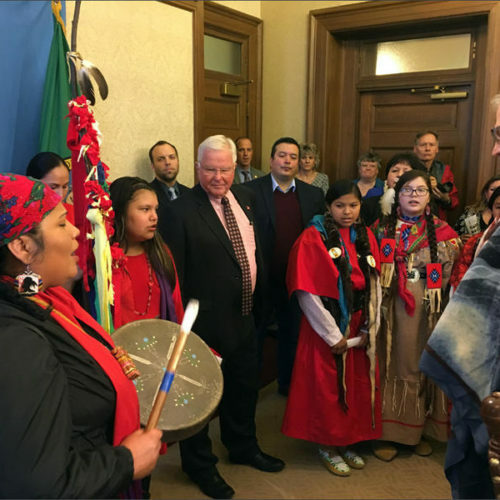 The response caused Yakama members to lose faith in the justice system, meaning crimes or missing persons would go unreported. Research by the Urban Indian Health Institute found 5,712 Native women were missing or murdered in 2016, but only 116 of those cases were logged in the U.S. Department of Justice’s database. 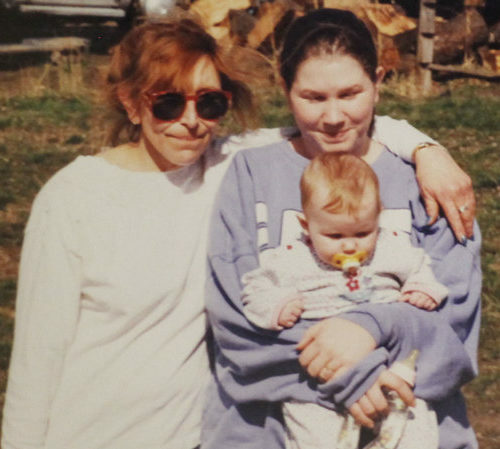 Washington state had the second highest number of MMIW cases. Roxanne White, a leader in the MMIW movement and sexual assault survivor, asked people at the event to stand if they or someone they loved had experienced violence, gone missing, or been murdered. About a third of the room stood up. 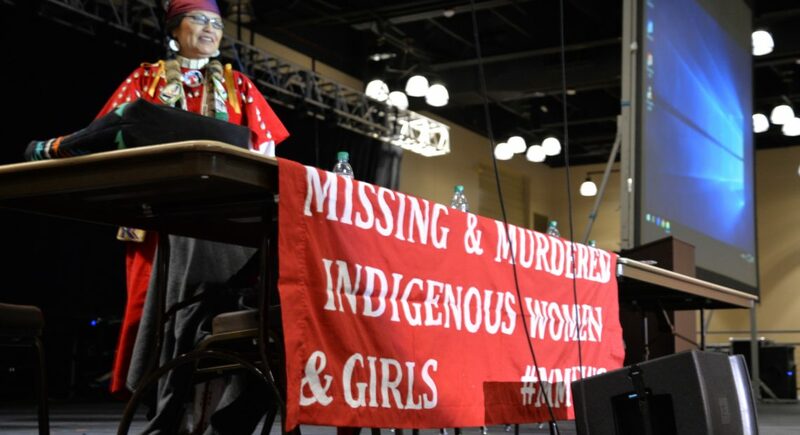 To bring more attention to this issue, the Missing and Murdered Indigenous Women’s committee is expected to lead the Women’s March in Yakima, Tri-Cities and Seattle this weekend. The group led the 2018 march in Seattle.